The UI community reflects on VP for Student Life Tom Rocklin’s achievements and remembers his efforts to cultivate student success. 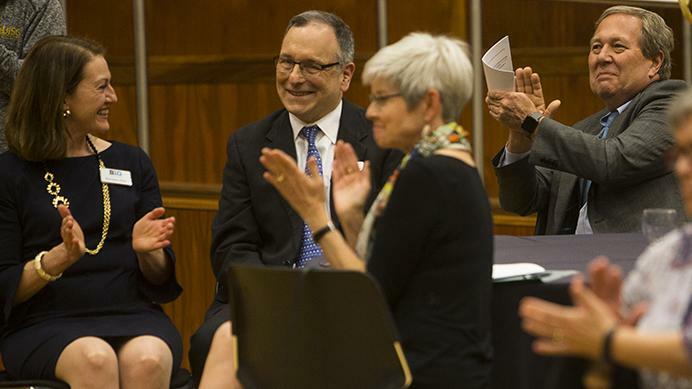 Rocklin will retire at the end of this month after more than 30 years at the UI. For Tom Rocklin, the status quo is never enough when it comes to student success. His office overlooks the often-bustling heart of campus that is the Pentacrest and the shining golden dome atop the Old Capitol that rests at the hill’s center. 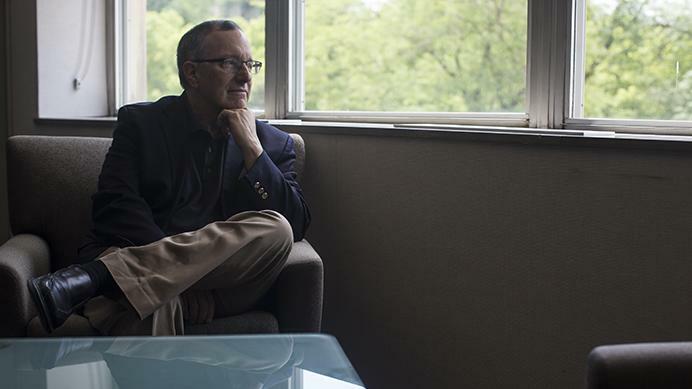 It is a view that is rather fitting for a man who brings a sense of “positive restlessness” to his work, as one of his Division of Student Life staffers says. 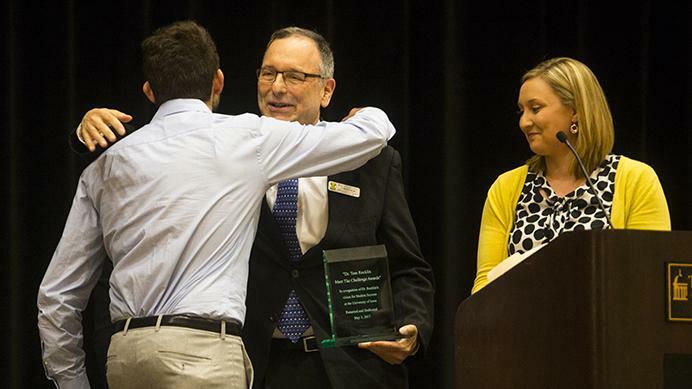 Although Rocklin, the University of Iowa vice president for Student Life, is set to retire at the end of this month, those who have worked with him see the man as a mentor whose contributions to the UI will leave a legacy. Rocklin said he initially came to the UI as an assistant professor in the College of Education and not of his own accord but because his wife was hired and a position was created for him. He went on to lead the college’s Center for Teaching in addition to becoming a department head and holding positions in the Office of the Provost prior to becoming the vice president for Student Life in 2008. Something Rocklin said he will miss about his job is working with people to solve problems. He sees it as his goal to amplify the voices of students and student leaders, he said, using his experience to help make things happen. UI graduate Rachel Zuckerman, the former UI Student Government president, said in a text message that Rocklin taught her a great deal about leadership, decision-making, and problem-solving, and helped her to believe in herself. Sarah Hansen, the associate vice president for Student Life, said she was once Rocklin’s student for an educational research-methods course and described Rocklin — her favorite instructor — as an interesting, engaging, and approachable instructor. Hansen started to work for Rocklin full-time in 2009, and she said working for him is stimulating because there are always new ideas that inspire people to do better and to do more to support student success. Building a culture of student success — the idea that the university should be doing everything possible to help students meet their goals — is an ethos Rocklin cultivated, Hansen said. Both Hansen and Zuckerman acknowledged Rocklin’s efforts to combat high-risk drinking as another one of Rocklin’s crowning achievements, one that serves as evidence of his approach to the job. “I appreciate his willingness to go after the tough but important issues — knowing well that they aren’t likely to be solved overnight, but knowing that we have to try anyway,” Zuckerman said. And although he will soon be off the clock, Rocklin maintains a mindset that efforts to address the challenges facing the UI community are incomplete, and it remains necessary to continue making strides toward improvement.